When you’re shopping for a new car, truck, or SUV in the Cleveland, Parma, or Strongsville areas, visit Spitzer to find some of the best prices and lease deals in the entire state. 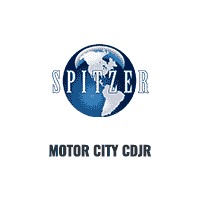 At Spitzer Chrysler Dodge Jeep Ram Cleveland, you’ll find a wide variety of popular new models to choose from, including new Ram 1500 trucks and new Dodge Challenger coupes, new Chrysler Pacifica vans, and new Jeep Renegade SUVs, all available for a test drive at our dealership in Cleveland. No matter your lifestyle or your financial situation, our extensive new inventory is guaranteed to match your needs and budget. We are a go-to Chrysler Dodge Jeep Ram dealership for Cleveland, Parma, and Strongsville thanks to our friendly staff and great specials on top models. To explore everything we have to offer, stop by our Chrysler Dodge Jeep Ram dealership in Cleveland and let us know how we can help get you behind the wheel today. Thanks to our new vehicle specials, not to mention our competitive pricing, you can step into the driver’s seat of a fantastic new Jeep SUV, Ram truck, Dodge car, or Chrysler model with ease. And because we always offer top dollar when you value your trade at our dealership, you can make the most of your current vehicle and experience extra savings on one of our reliable new vehicles in Cleveland, OH. To learn about all the ways you can save on a beautiful new car, call us now at Spitzer Chrysler Dodge Jeep Ram Cleveland. Whether you get started with our online auto financing application right away, or you choose to plan ahead by utilizing our online payment estimator, we’re here to help you through the process of buying or leasing a new car. And thanks to our team of knowledgeable auto financing specialists, you’ll never feel left in the dark at Spitzer Chrysler Dodge Jeep Ram Cleveland. Ready to explore your options with one of our friendly professionals? Give our dealership a call today. We’re just a short drive away for Chrysler Dodge Jeep, and Ram drivers in Parma and Strongsville.